Low cost cap displays ready to ship today! 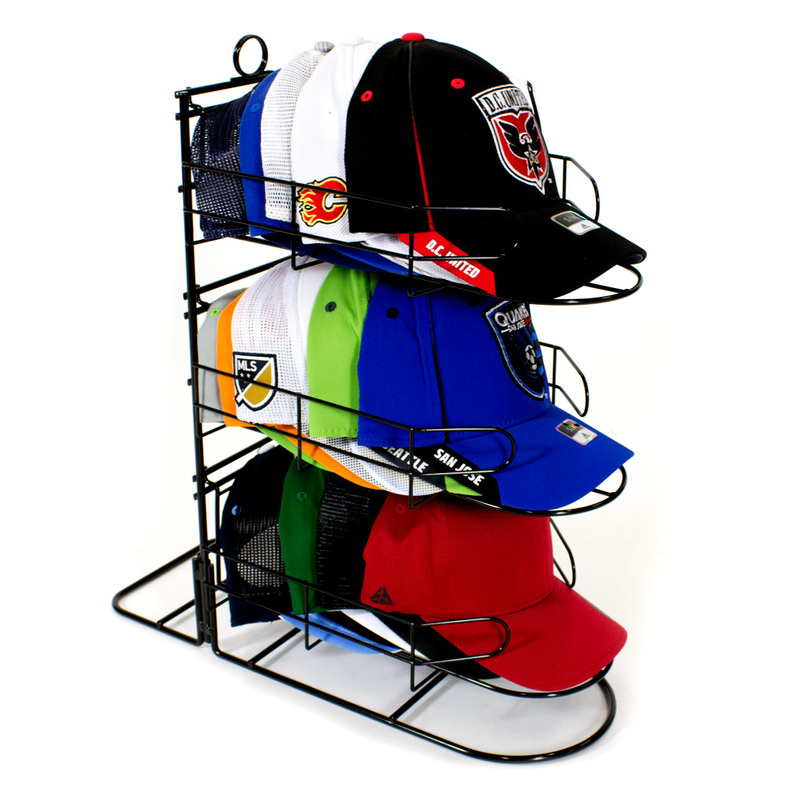 Increase impulse sales with this stylish cap display rack! This Countertop Cap Display has 3 tiers to easily view cap logos and access caps. Each tier holds 8 caps for a total of 24 caps. Add your promotional message with build-in sign holder on the top.